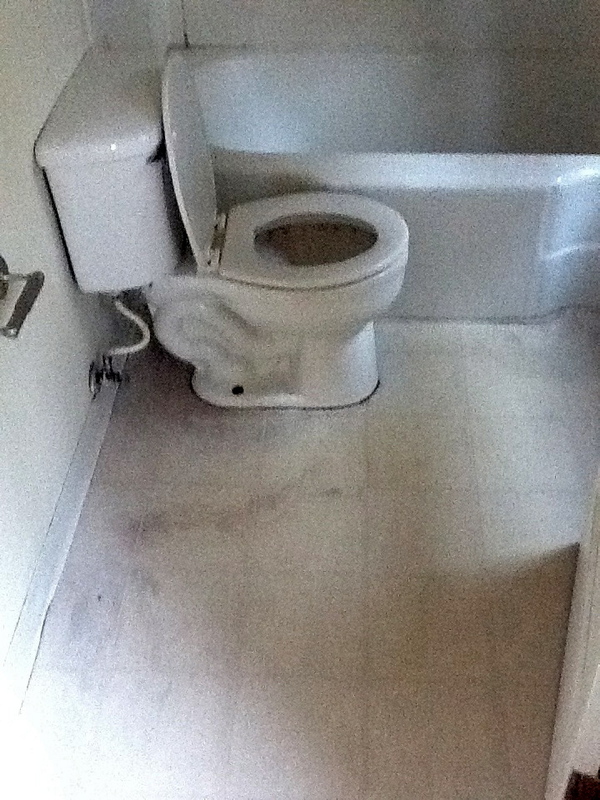 Here's a grainy picture of the flooring that needed to be replaced. If you look closely, you can see the discoloration by the toilet. 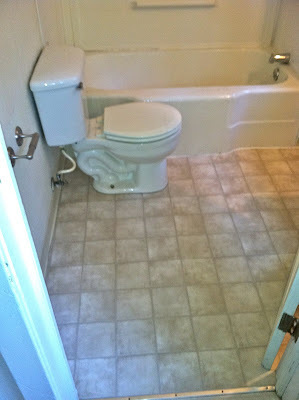 Consider It Done Construction repaired the dry rot under the toilet, replaced the flooring, vinyl trim, and the transition strip at the doorway. 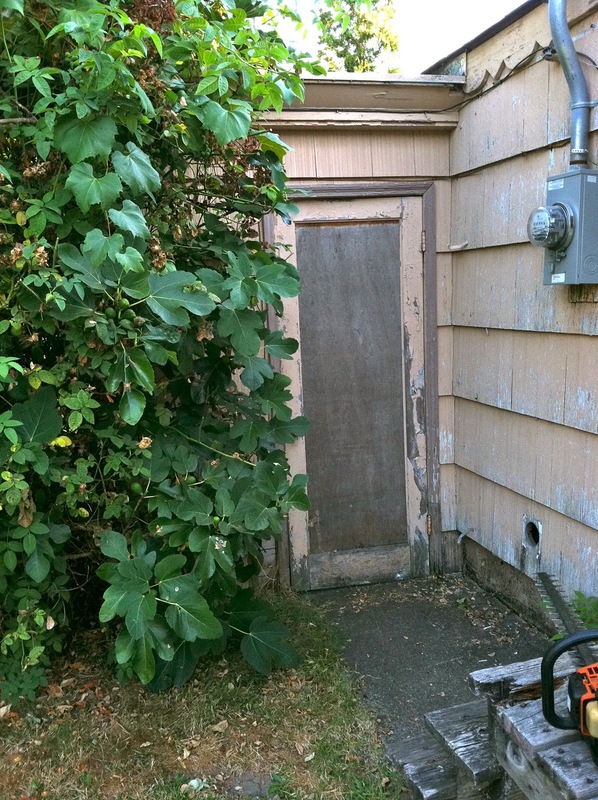 These plants touch the house; we've got to remove the plants before we can paint the exterior. Consider It Done Construction trimmed the brush, and hauled it away. Let the repairs and painting begin! 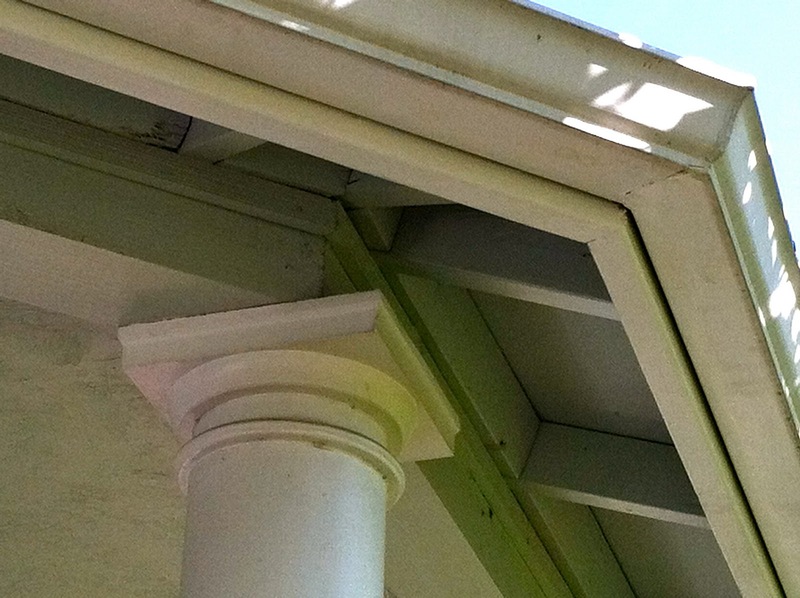 The seam in this gutter had been leaking for years. 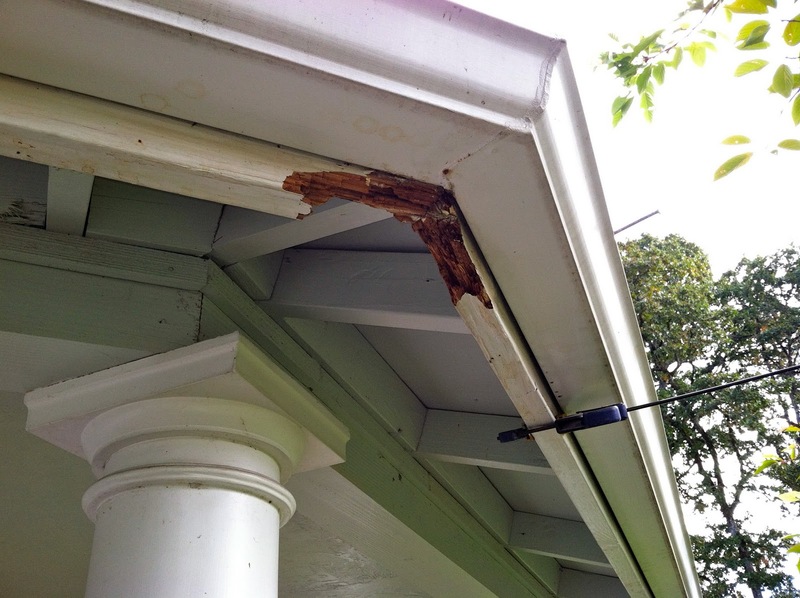 The constant water on the fascia eventually caused rot. Consider It Done Construction took off the gutters, replaced the fascia, primed, and painted to match. Then, re-hung the gutters. It looks like we were never there! This hole was the problem. 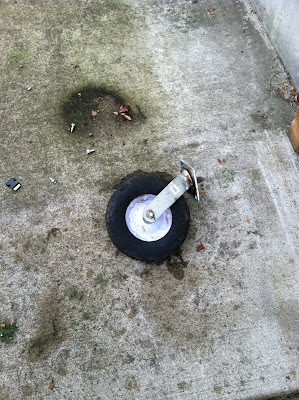 Someone had cut a hole in the gate so this wheel could swivel. 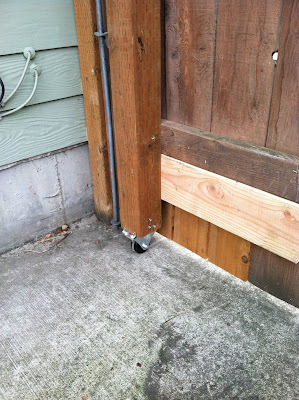 Consider It Done Construction re-engineered the gate, and closed the hole in the gate so the owner's dog wouldn't get loose. 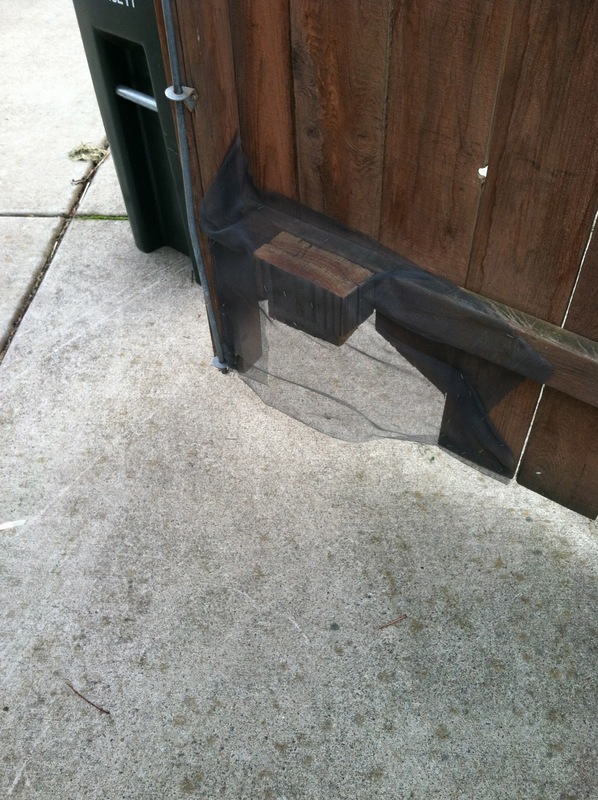 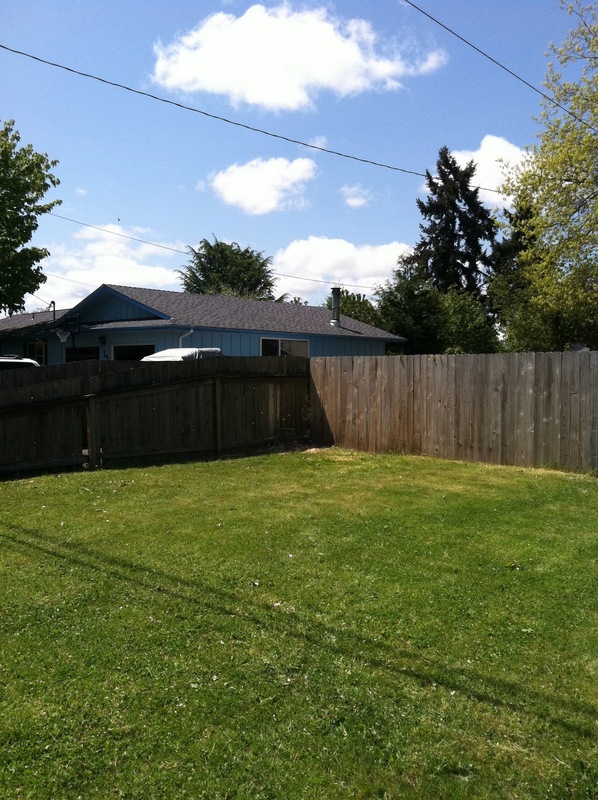 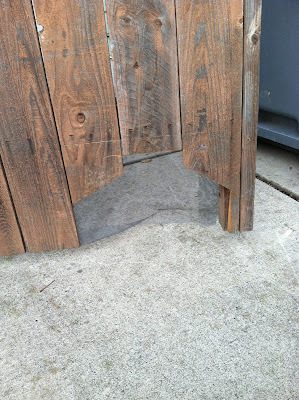 This is what the back of the gate looked like before the repairs. 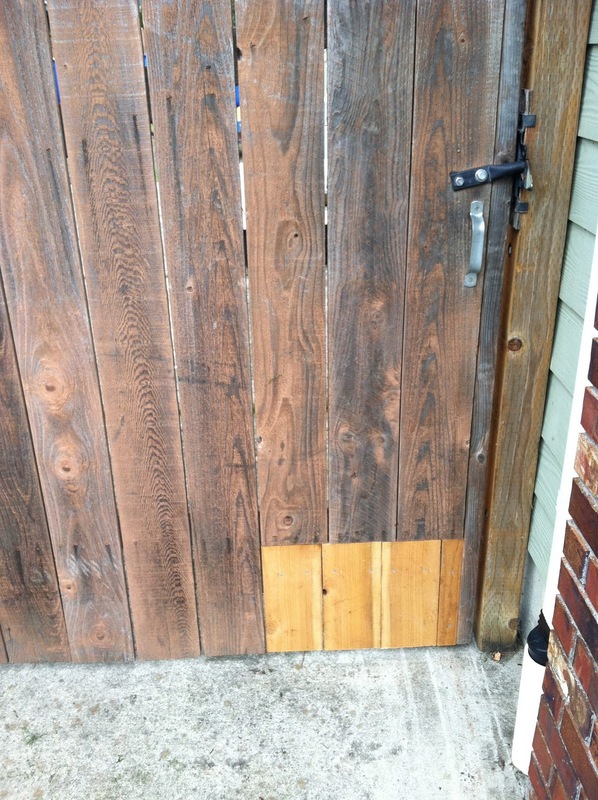 With the addition of this little wheel on the post of the gate, the hole was no longer necessary, and the gate opens and closes smoothly.